One of the biggest things I was unprepared for when I had kids was the mass accumulation of stuff and how quickly some of that stuff became obsolete! All parents talk about it and tell parents-t0-be about it but it’s hard to grasp the reality of it until you are surrounded by more baby and little kid stuff than you can handle. Kids grow up so fast and as they grow up, they grow out of the old stuff and you need to make room for all the new stuff. So, how do you deal with it? The easiest thing to do is throw it out when you are done with it. It’s easy, but I don’t think it’s the responsible way to deal with it. With a little effort, you have a lot of options open to you and some of them can even help you financially. In this blog post, I am going to tell you about the methods I use and am aware of. If I miss anything, please leave a comment below and let m know what I missed. If you aren’t sure if you are done having kids and you have the storage room. Don’t get rid of it. I hate clutter as much as anyone but if you can keep it organized and stored out of the way, hold on to it if you think you might have more children. I don’t know how it was for you but when we had our two boys, things were pretty tight. We barely had a nickel to scrape together let alone excess funds available to buy everything a child needs. We managed to make it mostly because of the generosity of family and friends. Whether it was in the form of presents at our shower, presents from the grandparents, hand me downs, or gifts when our babies were born, we managed to do just fine. It’s important to my wife and I that we pay it forward. We don’t know a lot of people that have kids that are younger than our own but we make an effort to give what we can. It doesn’t have to be someone you are close with or even friends with, if you know of someone that could use what you no longer need, consider giving it to them and pay it forward. The Internet has made getting rid of stuff easier than it ever, and sometimes you can even do it profitably as long as you are careful about what you choose to sell. You would have to travel to a far corner of this world to find someone that doesn’t know what ebay is and almost every major region has a free Craigs List classifieds service. With ebay, I never opt for listing upgrades, they typically end up being wasted fees. A basic listing will get you what you need in most cases. The most important things with ebay are listing it in the correct category and pricing it correctly. You don’t want to start the bid off too high or people won’t start bidding, they will assume if it’s already at that level that it’s going to go higher than they will want to pay. You also don’t want to start it off too low because if it sells at the starting bid, you will be bound to that price. When I price my listings, I typically start at the lowest amount I would be willing to part with the item. I come up with this price by looking at a few things. I look at what similar listings have sold for on ebay, how much I paid for it, how much it’s going to cost me in fees, shipping and packing material to ship the item and my time. That last one is important. It doesn’t make sense to go through the hassle of selling something on ebay if you are only going to make $1 off of it. Your time is more valuable than that. I use Craigs List for items that are bulky or too cumbersome to ship. I know ebay has local options and I have used them but since Craigs List is free, that is where I start. Make sure if you post to Craigs List that you anonymize your email so people can’t see your personal email address. 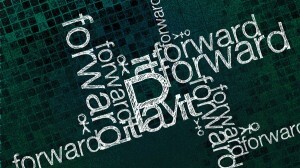 SPAMMERS crawl the site regularly and try to harvest email addresses from postings for their lists. You can avoid that by simply using Craigs List free feature which makes your email anonymous. I also don’t put my phone number in the listing. If someone is interested, I ask them to email me and I will call if I want to sell it to them. On popular listings, this prevents you from having to field a bunch of phone calls from people after you have already sold the item. Another tactic I have used to get rid of stuff is post things to Craigs List that I am willing to give away for free. I had a huge pile of bricks leftover from when I installed our backyard patio. I tried selling them but no one was interested. I didn’t want a bunch of perfectly good bricks to go into a landfill so I posted an ad offering to give them away for free to anyone that will come and pick them up. I got rid of them within 48 hours. It saved me the hassle and expense of having to cart them to the dump and someone else was able to get use out of them. Personally, I am pretty picky of what I am willing to try to sell on either of these two channels because I just don’t have the time to spend doing it if I am not going to make a decent amount off of it. We donate quite a bit of what we don’t need to Goodwill. If we can’t find friends or family that need it and it’s not something we want to ebay but is still a good, usable item, we often donate it to Goodwill. They take those donations and sell them in their stores at very cheap prices so that families that don’t have a lot of money have cheap access to clothing and necessities. One thing a lot of people don’t know is Goodwill will take everything but they won’t necessarily keep and sell everything. If something is junk, they throw it away. This is an expense for them so keep that in mind when you are adding stuff to your Goodwill pile. If you know something is junk, get rid of it yourself rather than putting that expense on a non-profit charity. The best tip I can give you with Goodwill is to always ask for a receipt and then make sure you put that receipt in a safe place. I stick it in a folder marked “taxes” so at the end of the year, I can hand it to my accountant and hopefully get a deduction. If you don’t have a Goodwill that is convenient to you, there are other charities that do the same thing like the Salvation Army or your local church. 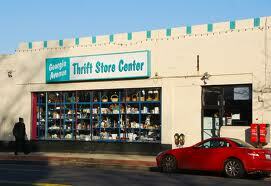 We have used consignment shops quite a bit over the years as both buyer and seller. Kids outgrow things so quickly, if you can get nice used stuff, then why pay for something brand new? For the longest time we had one local consignment shop that was very popular and very picky about what they took. Being picky is a good thing in many ways. It means the quality of the merchandise is higher and hopefully the average price the stuff sells for is also higher. 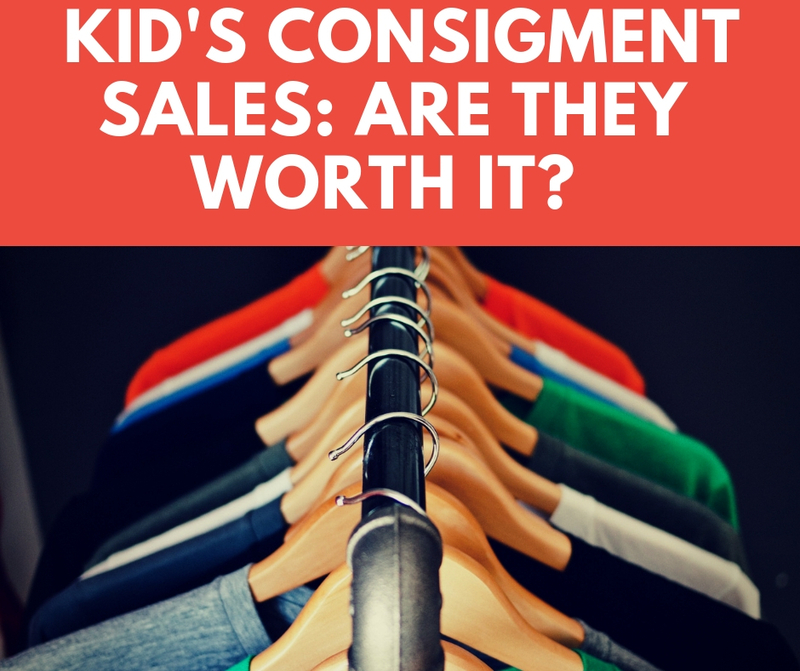 Unfortunately, this consignment shop has gotten so popular, it often takes months to get an appointment and they end up rejecting more than half the stuff we give them. A new consignment shop opened up across the street from where I work and while they seem to do a good business, they aren’t as picky and it’s very easy to get an appointment. They keep the stuff for 3 months and if they can’t sell it in that time, they donate it to a local church. I took a bunch of old stuff, lot’s of clothes, baby items we didn’t need, toys, VHS tapes and a high chair and so far, they have done a pretty good job of selling it. It’s certainly not going to be a big windfall but it’s money I didn’t have before, it was very little work on my end and if they can’t sell it they pass it on to a charity for me. All the money I do get from the consignment shop goes straight into the budget to pay off debt. Be careful about what you sell and what you give away. We had a crib that we used for both of our babies. It’s the kind where the side drops down. Not that long ago, these cribs were found to have caused death in infants. The cribs were recalled and they are no longer made that way. The chance of a baby dieing in a crib like that is small but there is still that chance. We took it to the dump, we weren’t comfortable with the idea of selling it or giving it to anyone else if that slim possibility existed. Same goes for things like car seats, they are recalled all the time and improvements are always being made. Before you pass it on to someone else, make sure it’s still safe for someone else to use. Another thought is that you may need to use it again in the future – for example, if you’re planning on having more kids, you may not want to get rid of that old crib. In those cases, using a storage courier to store it for a while, or renting a storage locker, could make more sense. It gets the item out of your house, but you don’t get rid of it forever. With a little effort, we can all live slightly less cluttered lives. Of course, if your house is anything like mine, the new stuff coming in will quickly fill the space you made from getting rid of the old stuff. Oh well. How have you gotten rid of unneeded stuff in the past?